Marquis Jet has ushered in a collection of four unique strategic partnerships and value-added offerings. These are aimed at enhancing the experience for their thousands of card owners and the members of their travel partners. The partners include Jackson Hole Mountain Resort, The Yachts of Seabourn, Montage Hotels & Resort, and Ritz-Carlton Destination Club. Members and guests of these partners will receive a collection of specially-crafted benefits. These benefits include a complimentary aviation consultation to assist in matching their individual needs to the ideal aviation solution - meaning more productive time while at work and more time on the slopes, sea, or sand while with family and friends. Marquis Jet Card Owners will also receive special amenities and services provided by these new alliance partners. "Our discerning Ritz-Carlton Destination Club Members value the many conveniences Club membership provides," said Peter J. Watzka, executive vice president and chief operating officer for The Ritz-Carlton Development Company, Inc. "Now, they can also enjoy simplicity and peace of mind when they join the Marquis Jet CardSM program, backed by the NetJets fleet." "The Marquis Jet Card program will change the way Club Members travel," said Mark Sage, executive vice president, business development for Marquis Jet. "Members will be able to fly on their own schedule and remain in control. It's the perfect program to enable Ritz-Carlton Destination Club Members to travel to and from their favorite properties with ease." "The Marquis Jet Card program will enable a new level of efficiency and productivity in Jackson Hole Mountain Resort Guest's lives, providing an extra day or two on the mountain per visit rather than in airports and automobiles." continued Mark Sage. 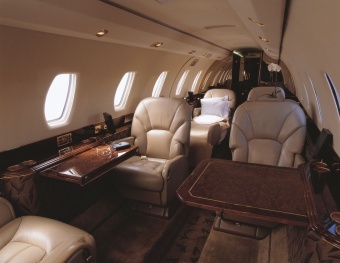 The Marquis Jet fleet is provided by NetJets through an exclusive alliance between the two companies. 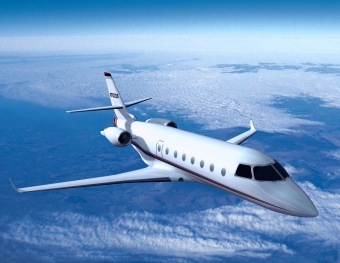 NetJets, a Berkshire Hathaway Inc. company (NYSE:BRKA), is a global leader in fractional jet ownership. NetJets owns the world's largest and most diversified fleet of more than 800 aircraft, staffed with highly trained and experienced pilots. Marquis Jet Card holders have access to NetJets, 25 hours at a time.